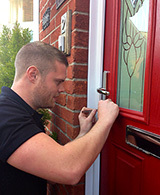 As qualified and reliable locksmiths, we are available 24 hours a day, 7 days a week, wherever you're based in Dorset. We have recently been called out to addresses in Dorchester, Weymouth, Bridport, Bournemouth, Poole, Wimborne, Sherborne, Blandford and Beaminster ... and many places in between. 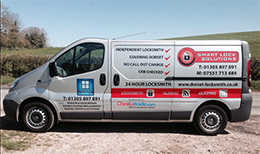 So you can rest assured that, wherever you are in Dorset, we will be able to get to your house or business and help with whatever locksmithing problem you have! We also now cover part of Somerset, particularly the Yeovil area. Dorset locksmiths Smart Lock Solutions - always ready for your call! Your local, reliable locksmith, Smart Lock Solutions is never too far away to help! Wherever you are in Dorset (Dorchester, Weymouth, Bridport, Bournemouth, Poole, Blandford and all other towns) and whatever the enquiry, our 24 hour, 7 days a week service is always there when you need it. We also now cover part of Somerset, particularly the Yeovil area. And what's more, we don't issue callout charges to any of our customers. Our Dorset-based locksmiths always travel with a full kit of parts and tools so we're prepared to react promptly to any situation. And because we run a small business with minimal overheads, we can provide the highest standard of service at honest, reasonable rates. If it's an emergency, you can be absolutely certain of a fast, friendly service. At Smart Lock Solutions, we hold the highest qualifications that can be attained for locksmithing in the UK. We take great pride in our work so you can be certain you're hiring a reliable service of the highest quality. So if you need a fully qualified Dorset locksmith with great levels of service at reasonable rates, ring Smart Lock Solutions now on 07551 713484. At Smart Lock Solutions we guarantee ALL work we carry out for you. Click here if you'd like to read more about us and how we can help you! I was locked out and James turned up within 10 minutes of speaking to him and let me in without causing any damage to my lock or door. I was very impressed! Although I have learnt my lesson his number is saved on my phone (just in case). We could not sleep properly as our garage got broken into. We rang James and he came and fully secured our garage with garage door bolts and he also put a new lock into the back door leading into our garage. He showed us how to use everything and didnt leave till we were confident we knew how to work everything. Lovely young man. Highly recommend James - very professional and really nice lad. There was no doubt about it James knew what he was doing, he got me back in my house in literally seconds. Whilst he was there he gave my whole house a free security check. Friendly and professional service. I have just bought a property in the Bridport area and thought it would be best to get all the locks changed as I didn't know who had a key. James came and changed all my locks at a very reasonable rate. He also fitted me a new lock on my front door as the one in there wasn't a British Standard lock so I would not have been covered on my insurance if someone had broken in. Great job! The key snapped in the lock on our garage door, James came out and removed the key from the lock, he sorted out the problem and and cut us a new key!